Hey, I just found your blog entry via reddit, I really enjoyed it. 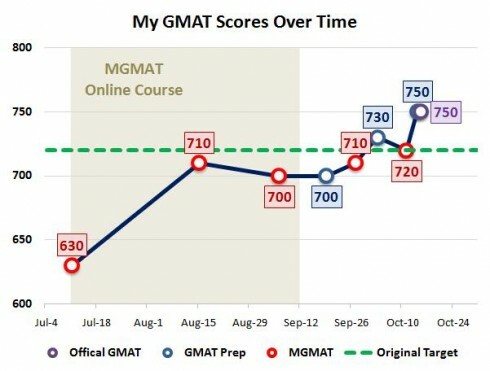 I’m about to take the GMAT in a couple of days and I think I’ve probably studied in a similar manner to you (I took a class at Manhattan GMAT and I have a very similar pattern of scores on practice tests). 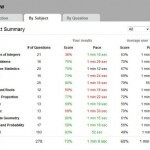 I took my first mba.com “official” practice exam last week and I also felt like the harder math questions were different than those on the Manhattan GMAT practice tests. I’m having a hard time pinpointing exactly what I felt was different, but I am initially inclined to say that it seemed that the Manhattan GMAT practice tests were more obviously testing a specific rule on each harder level question. Thoughts? Any advice on adjusting to the difference? I would say the difference between the MGMAT Math questions and the actual Math questions mainly involve the number of steps and the number of concepts within each problem. I think the actual GMAT rarely will test you on more than 2, whereas MGMAT can often go well beyond that. I don’t think there’s really a specific way to “prepare” for this. Just don’t get dejected by some of the impossible MGMAt questions and note that you may get more MGMAT Math questions wrong than you do on the actual test. Haha, I just did one of the “hard” problem sets from MGMAT and it did not go so well. Your comment makes me feel much better. Also, congrats on the great score! 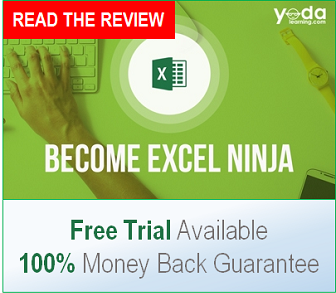 Extremely useful blog post ! Simply love the graph! Excellent write-up on GMAT Test prep here. I think one of the key to preparation is consistency and not contingency. Thanks for writing this. I took the first two MGMAT tests. I thought the questions on that test were overall harder than the actual GMAT, especially the math questions. I have a GMAT blog, how to study for the GMAT, and basically agree with everything you are saying. Thanks again. Great job Mark very well done! People like me will definitely need these tips on their way of cracking the GMAT code. Your achievement is really inspiring!